Espoo, Finland – Nokia today announced the Nokia Lumia 625, an accessibly priced 4G smartphone to help people see more of what they love. The Nokia Lumia 625 delivers high-speed entertainment to a wide audience with a large 4.7-inch super-sensitive LCD screen and 4G Internet access. Building on the award winning Nokia Lumia design, the Nokia Lumia 625 includes five brightly coloured changeable shells, which add to the Live Tile personalisation brought by Windows Phone 8. 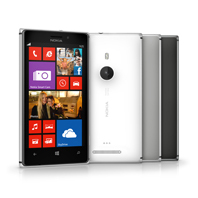 The Nokia Lumia 625 also provides many innovations found in the recently announced flagship Nokia Lumia 1020. These include a range of integrated camera applications like Nokia Smart Camera, offering handy features like removing unwanted objects from pictures, and Nokia Cinemagraph, which turns photos into living memories with added movement. "With our largest smartphone screen to date, the Nokia Lumia 625 is a perfect example of how Nokia is delivering leading smartphone innovation and experiences at every price point," said Jo Harlow, executive vice president, Nokia Smart Devices. Powered by the latest version of Windows Phone 8 and including the Nokia Lumia Amber update, the Nokia Lumia 625 delivers a richer and easier to use smartphone experience at a competitive price. Live Tiles update direct to the home screen, and People Hub makes it easy to stay connected with friends and family. 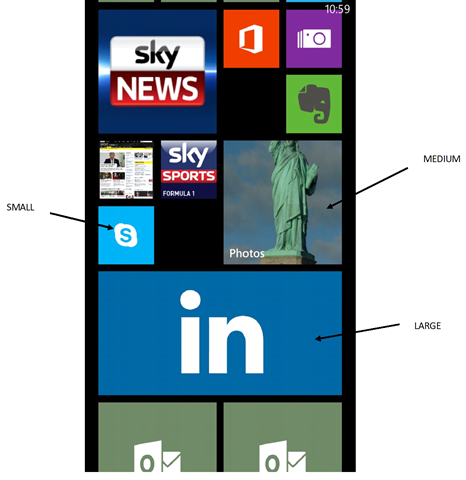 Windows Phone 8 also includes Xbox Live, Microsoft Office, and 7GB of online SkyDrive storage to simply make life easier. With access to more than 165,000 apps including Vimeo, Temple Run and WhatsApp, the Nokia Lumia 625 offers faster mobile fun, as well as safer surfing with Internet Explorer 10 – making it ideal for viewing videos, games, and other content. 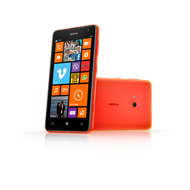 The Nokia Lumia 625 also offers SD memory card support, allowing up to 64GB of additional content storage. Nokia Music provides unlimited streaming of ad-free mixes without registration or subscription, plus the ability to download mixes for listening offline with the Nokia Lumia 625. Nokia has also teamed with Coloud(TM) to create BOOM(TM) headphones that combine audio prowess with excellent value, and integrated microphone and buttons for voice calls and music control. With its big screen and super-fast connectivity, the Nokia Lumia 625 offers leading maps and location experiences from HERE, providing free maps, turn-by-turn navigation and public transport guidance. The Nokia Lumia 625 will be available in a range of colours including orange, yellow, bright green, white and black with an array of changeable shells enabling easy personalisation. With an estimated retail price of 220 Euros before taxes and subsidies, the Nokia Lumia 625 is planned to begin selling in China, Europe, Asia Pacific, India, Middle East, Africa and Latin America in Q3 2013. Data charges may occur from using HERE and Nokia Music services over a cellular network. Read more about the Nokia Lumia 625 on Nokia Conversations. Hold the Volume Down and Power buttons down until the phone vibrates three times. The phone should successfully restart with the Nokia logo after a few seconds. If the phone powers on, navigate to Settings > About > Reset your Phone. This will reset your phone to factory settings. If the OS won’t load up, use the method below. To perform a hard reset, press the Volume Down, Camera and Power buttons at the same time. Hold all three buttons down until the phone vibrates then release power button and hold volume down and camera for a further five seconds. London, UK – Nokia today introduced the Nokia Lumia 925, a new interpretation of its award-winning flagship, the Nokia Lumia 920. The Nokia Lumia 925 introduces a metal design and showcases the latest PureView camera innovation, new features and third party applications coming to the Nokia Lumia range. generation imaging software to capture clearer, sharper pictures and video, including the best low light images. The Nokia Lumia 925 also introduces the new Nokia Smart Camera mode, coming as an update to all Lumia Windows Phone 8 smartphones. Nokia Smart Camera offers an easy way to capture ten images at once and edit the pictures with options like Best Shot, Action Shot, and Motion Focus for creating the perfect high quality image. Nokia also announced Hipstamatic’s new app, Oggl, will arrive on Nokia Lumia smartphones, allowing people to take and share high quality pictures with like-minded creatives and photography enthusiasts from around the world. In addition to sharing photos on Oggl, users can simultaneously share photos on social networks including Facebook, Twitter, Foursquare, Tumblr, Flickr and Instagram. The Nokia Lumia 925 introduces metal for the first time to the Nokia Lumia range, bringing appeal and unique benefits like increased robustness. The polycarbonate back comes in white, grey or black. A wireless charging cover can be clipped onto the back of the phone to take advantage of Nokia’s extensive wireless charging accessories and ecosystem. Covers, sold separately, come in white, black, yellow, and red. Leading Nokia services, such as the HERE suite of integrated location and navigation services and Nokia Music for unlimited streaming of free music playlists, add to the great proposition offered by Nokia’s latest smartphone. In addition to Europe, the Nokia Lumia 925 will be introduced into the US by T-Mobile and into China by China Mobile and China Unicom. Sales are expected to start in the UK, Germany, Italy, Spain and China in June, followed by the US and a number of other markets. The Nokia Lumia 925 will be priced around 469 EUR before taxes and subsidies. Country-specific pricing and availability will be announced locally. Main camera PureView 8.7 MP with Optical Image Stabilization, Autofocus, short pulse high power dual LED flash, most advanced lens technology, 1080p HD video at 30fps with Optical Image Stabilization. Includes Nokia Smart Camera mode. 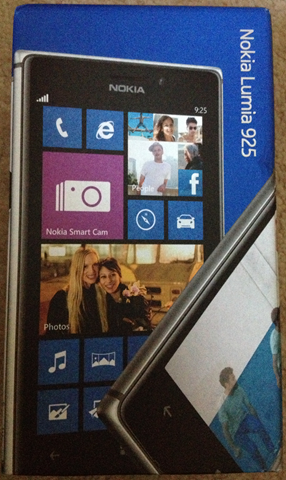 Read more about the Nokia Lumia 925 on Nokia Conversations.